This week, Jordan’s parliament debates whether or not to give Al-Razzaz’s government a vote of confidence. 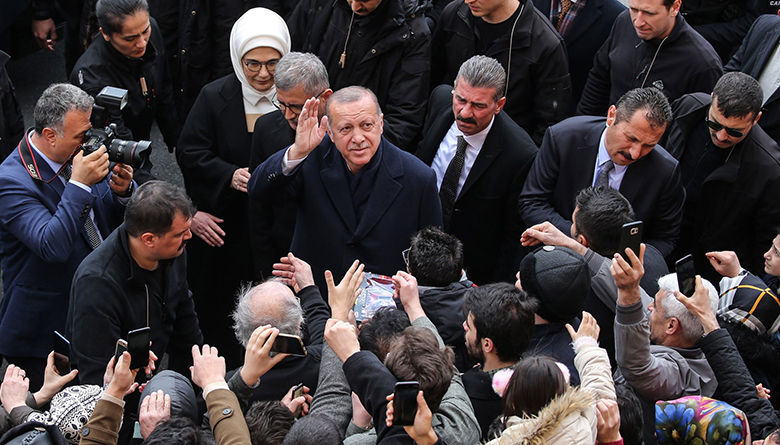 While some MPs have made strong oppositional statements, vowing that they will withhold confidence, no one in Jordan doubts that the government will get the vote of confidence by a comfortable majority. The process of the vote of confidence has very much become a performative event with one possible outcome, and the only time parliament withheld confidence from government was back in 1963. But whether or not the government wins parliament’s confidence is no indication of its popularity and what the general public thinks of it. One would think that a government that came in the wake of massive protests, the largest in Jordan since the Arab Spring, would be a reflection of people’s will. However, an in-depth look at reactions after the appointment of Al-Razzaz and the announcement of his cabinet reveals a different reality. This article describes how Jordanians on twitter reacted to these two events. It uses machine learning techniques to analyze over 19,000 tweets that discuss the appointment of Al-Razzaz as new Prime Minister and the declaration of his government. The tweets thus cover two periods: June 4th – June 6th, which followed Al-Razzaz’s appointment as Prime Minister, and June 14th – June 17th, which followed the declaration of Al-Razzaz’s government. They show that the largest group of tweets—over 40% of the total—that followed Al-Razzaz’s appointment had an optimistic tone. However, following the declaration of Al-Razzaz’s cabinet, only about 15% of tweets were congratulatory or optimistic. Instead, the majority of tweets following the declaration of the government showed disappointment at what they saw as a missed opportunity for reform and emphasized nepotism in the new cabinet. To be sure, this analysis is not representative of Jordanians’ views. Rather, it only shows the views of twitter users who were active on twitter when Al-Razzaz was appointed and when he declared his government. Nonetheless, in a context with relatively few public opinion polls, it can be valuable to use twitter data to examine how some Jordanians are reacting to the political developments in the country. Given the large number of tweets included in this analysis, it is difficult to examine each of them individually. To deal with this, I use topic modeling, a machine learning technique that allows for the automatic classification of the tweets into several topics. 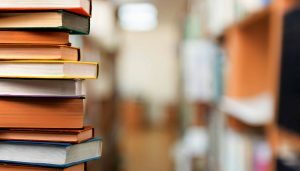 The idea of topic modeling is to use the texts in the tweets to identify topics, which are defined as repeating patterns of co-occurring terms in the tweets. The procedure of topic modeling is quite complicated, but it attempts to regenerate the process in which the tweets were written. So it assumes that each tweet is a mixture of topics and each topic is a mixture of words. It then uses the actual texts in the tweets to estimate the parameters that would predict the texts in these tweets. In order to identify these tweets, I used the twitter API to identify the top hashtags in Jordan during the protest days. Then I scraped all tweets that use any of the top hashtags related to protests in Jordan. Similarly, following the declaration of Al-Razzaz’s cabinet, I used the twitter API to identify the top hashtags and then scraped tweets using any hashtags related to the cabinet declaration. The resignation of Mulqi and appointment of Al-Razzaz as the new Prime Minister occurred in the middle of the protest wave in Jordan. During the protests, Jordanians were particularly active on twitter—hundreds of thousands of tweets discussed the protest movement. Within 48 hours of Al-Razzaz’s appointment, over 9,000 tweets discussed his appointment. 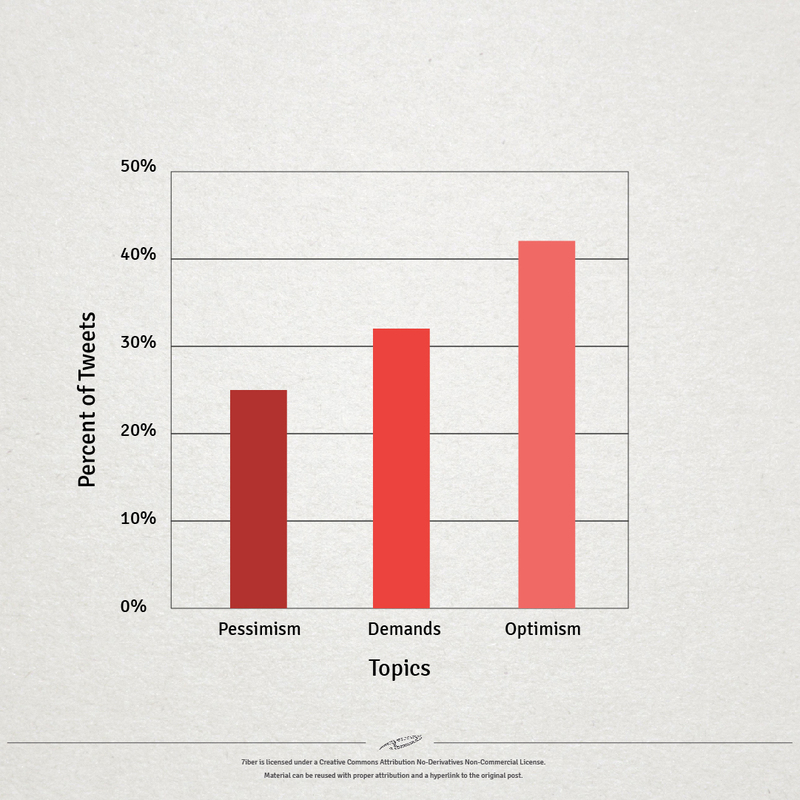 Using topic modeling, these tweets can be divided into three main themes. The first topic can be labeled as cautiously optimistic tweets. For instance, many tweets mentioned how Al-Razzaz was well liked by Tawjihi students in Jordan, who hoped he would be promoted to Prime Minister eventually. Others asked Al-Razzaz to remain as modest, “from the people and for the people”, as Jordanians have known him. Some of these tweets had a hint of sarcasm. For instance, a tweet talked about how one would be impressed to read Al-Razzaz’s resume because of all his accomplishments and experience, especially when it comes to economic and financial affairs. The tweets continues by wondering if Al-Razzaz, with all this experience, was forbidden from suggesting solutions to Jordan’s economic problems when he was a prime minister. Following the appointment of Al-Razzaz, the plurality of tweets belonged to the cautiously optimistic theme, with over 40% of tweets in this category. Another topic consists of tweets that could be described as pessimistic. Some are critical of Al-Razzaz himself, who the tweets describe as “the son of the deep state” and the “son of the World Bank’s policy.” Others criticize Al-Razzaz for being part of the previous government that instated the unpopular tax law. Yet, the majority of tweets in this category assert that Jordanians went into the streets not to change Mulki but rather to change the path that various Jordanian governments have followed. So even if Al-Razzaz wanted to reform the state, these tweets assert, he would not be able to because the deep state will prevent him. These tweets constituted around 25% of all tweets that came following Al-Razzaz’s appointment. A final category of tweets did not have particularly optimistic or pessimistic tones, but rather emphasized certain demands from the future Al-Razzaz government. They called for removing the tax law and reversing price increases on fuel and necessary supplies such as bread. Furthermore, many tweets called on Al-Razzaz to follow the Singapore, Malaysia, and Turkey models of reforms. These tweets constituted over 30% of total tweets. 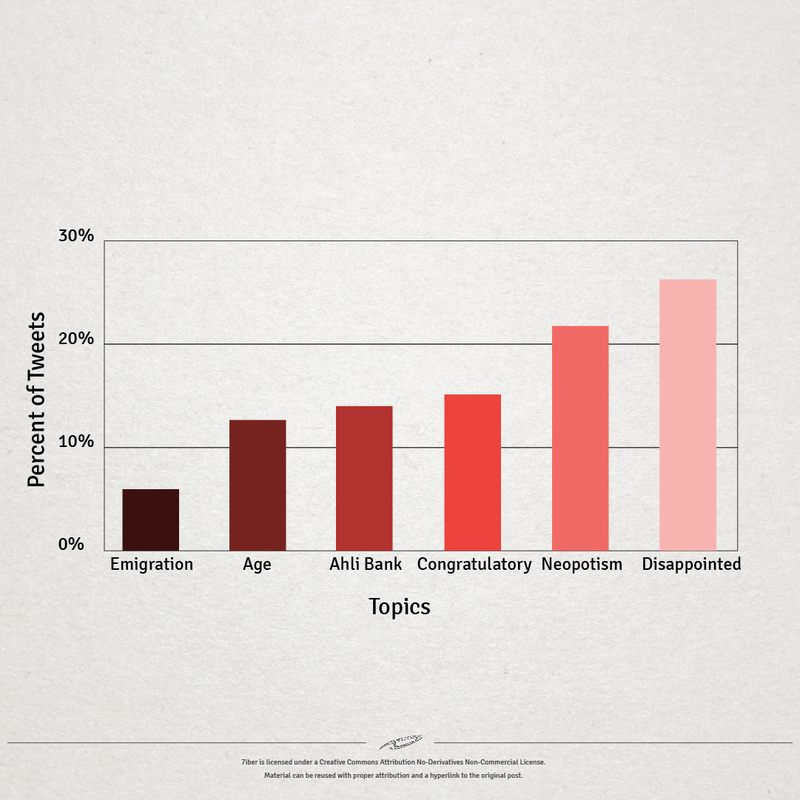 Figure 1 shows the proportions of tweets in each of these categories. Following the declaration of Al-Razzaz’s cabinet, Jordanians discussed this topic widely on twitter, with over 10,000 tweets in just four days. Using topic modeling, six clear topics emerge from these tweets. One prominent topic that followed the declaration of the government emphasized emigration. Many of these tweets related to a Jordanian student called Qutaiba, who asked Al-Razzaz whether Jordanians can now stop thinking of emigrating and enjoy living in their country. Al-Razzaz responded to Qutaiba by asserting that he can stop dreaming of emigrating and asking him to take initiative to achieve what Jordanians want. Following the declaration of Al-Razzaz’s government, Jordanians joked about Al-Razzaz’s response to Qutaiba. Some suggested that “Qutaiba did not emigrate [rather, he] committed suicide after the new cabinet declaration” while others urged Qutaiba to “not emigrate but open an immigration office” suggesting many other Jordanians would want to immigrate. This topic made over 5% of the tweets following the declaration of Al-Razzaz’s government. Another prominent topic listed the names of the new ministers. Hinting at the king’s comments of including youth in the Jordanian government, tweeters included the ages of all those who are 50 years and older, and ridiculed the youth nature of this new cabinet. So, this topic mainly listed the names of the new cabinet and sometimes listed their ages. This topic made over 10% of the total tweets. A third topic emphasized the fact that several ministers as well as the prime minister have had associations with the Ahli Bank. In addition to Ahli Bank, words associated with this topic are Muasher and board of directors. In addition to criticizing the fact that many came from Ahli Bank, people also made jokes. One popular tweet described the “Match of the Year: Ahli Bank vs. World Bank. May these banks smack each other and may we leave this country.” This topic made almost 15% of the tweets. Another topic was congratulating Al-Razzaz and his new cabinet. This topic largely consisted of wishing the new cabinet well and described it as a wise cabinet. Still, there were some sarcastic tweets within this topic. For instance, one tweet mentioned: “Congratulations to the new ministers… we congratulated the old ones last time,” mocking the fact that the new cabinet consisted of many ministers that protesters had just called for replacing. This topic made just over 15% of the tweets. The largest topic was disappointment. Tweeters used words include disappointment and failure. For instance, one tweet addressed Al-Razzaz and said: “If the technocrat cabinet includes 10 ministers from cabinet that imposed poverty on people and that lost popular support, then where is Change?” The tweet called on Al-Razzaz to resign if the pressure he faced (to prevent real reform) is larger than the will for reform. Other tweets were more succinct and simply declared the new cabinet as the beginning of failure under Al-Razzaz’s tenure. Yet another tweet in this topic question the decision to keep choosing ministers who have a “glorious” history of failure in their former ministerial positions. This topic made the plurality of the tweets, with over 25% of the total tweets belonging here. Finally, another prominent topic discussed nepotism. 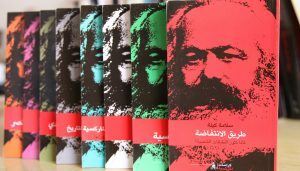 It suggested that most of the new ministers are close relatives of prominent Jordanian politicians, some of whom are known for corruption. This topic formed over 20% of the tweets. Al-Razzaz denied many of these accusations. The following figure demonstrates these tweets. 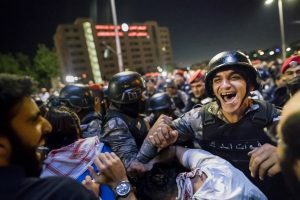 While Mulki’s tax law triggered the recent protests in Jordan, one of their main goals has been changing the economic austerity path that recent Jordanian governments have followed. When Al-Razzaz was appointed, some where optimistic because he signaled real reform. Al-Razzaz was also charismatic and responsive on social media, which made him appear down to earth. 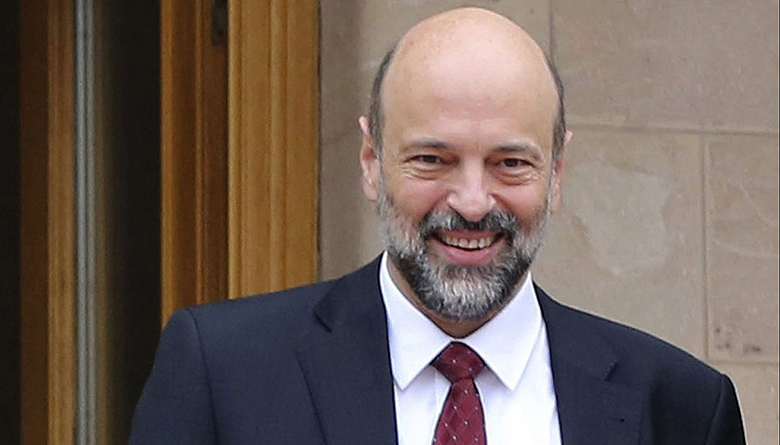 To be sure, the bar was quite low given the how uncharismatic and seemingly arrogant recent governments were—but it is also in Al-Razzaz’s credit that he was more willing to engage with the public. However, one of the fears of Jordanians is that the prime minister may not have all that much autonomy to conduct serious reforms. Following the cabinet announcement, which included many former ministers, the fears of many Jordanians about Al-Razzaz’s lack of autonomy or will to reform appeared well-founded. 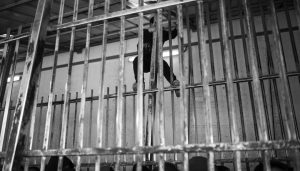 The fear now is that Al-Razzaz’s government will act like previous ones, where it largely implements unpopular policies until public frustration with the government increases, resulting in the replacement of Al-Razzaz. Jordan’s King Abdullah II, like his father the late King Hussein, has long followed this policy of not providing cabinets with much power and then asking them to resign after public frustration increases, only to be replaced with similar cabinets. This has resulted in many governments with relatively short terms. 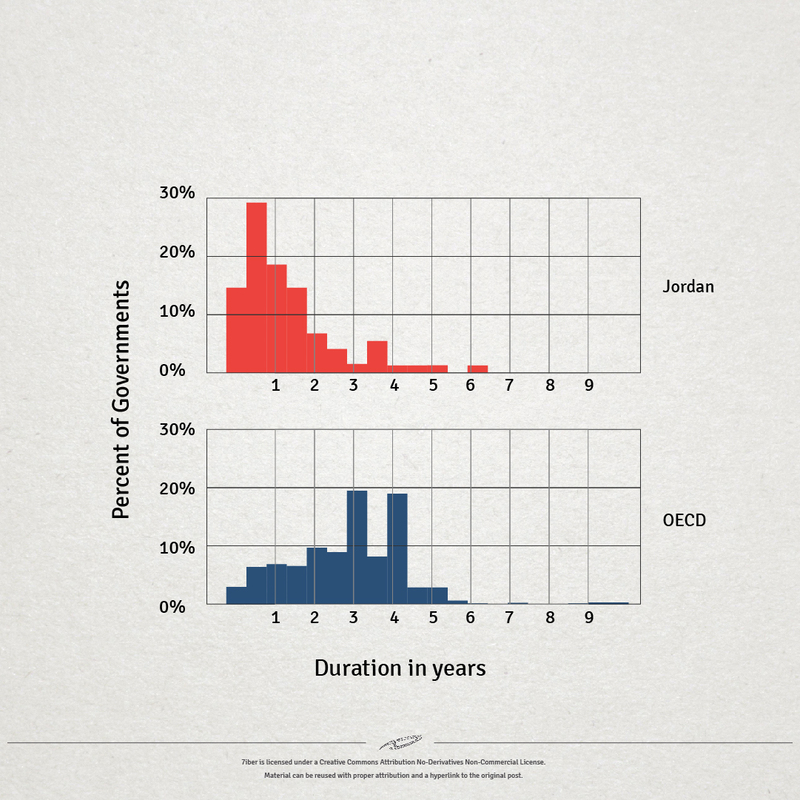 The following figure shows the distribution in the term of Jordanian governments compared to those of Organisation for Economic Co-operation and Development (OECD) parliamentary governments. While most OECD governments last between 3 and 4 years, the majority of Jordanian governments have lasted for only about a year. 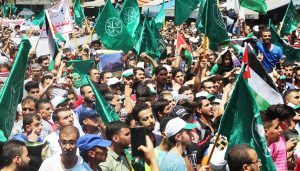 However, the slogans raised at the recent protests suggest that this strategy may have run its course and Jordanians are growing increasingly frustrated with this constant turnover in governments. To be sure, it is still possible that Al-Razzaz may lead the changes required by many Jordanians. He has promised to negotiate when formulating the tax law and his recent speeches have promised a series of reforms. However, the first major test for Al-Razzaz—the formulation of the cabinet—has understandably not been welcomed by many Jordanians. Whether Al-Razzaz will improve is yet to be seen.